IPSWICH New Wolsey Studio, St George’s Street, Ipswich, Suffolk, IP1 3NF; 01473 295900; wolseytheatre.co.uk RED RIDING HOOD – THE ROCK’N’ROLL PANTO Thu Nov 23-Sat Jan 27 AGES 6+ Written by Peter Rowe. Red Riding Hood owns the best bakery in Soggy-Bottom-In-The-Marsh but when the village party is scattered by the return of the legendary lone Wolf, the wicked Sir Jasper de Ville demands more rent to pay for the added security.. WOW! SAID THE OWL FROM TUE 5 DEC — TUE 2 JAN AGES 2+ Presented by Little Angel Theatre. Explore the wow-world of colours with this curious little owl who is determined to stay awake to see what day light brings. TIGER’S TALE WED 14 — THU 15 FEB AGES 4+ M6 Theatre presents a fantastical new production by the award winning playwright Mike Kenny. Based on the extraordinary story of Fenella, the Holmfirth Tiger, A TIGER’S TALE is a high spirited balancing act of circus, puppetry, live music and song. opy here. LITTLE HOWARD’S BIG SHOW FOR LITTLE KIDS SAT 17 FEB AGES 4+ With interactive stand-up, live animation on stage and lots of jokes and songs this really is a show that all the family can enjoy. MIRROR, MIRROR SAT 17 FEB AGES 5+ Red Earth’s new version combines lovable puppets, spirited storytelling and mesmerising sign language. LOST AND FOUND Sun 18 Feb AGES 3+ Presented by Little Blue Monster. Oliver Jeffers’ award-winning picture book live onstage. NORWICH Playhouse Theatre, 42-58 St Georges St, Norwich NR3 1AB www.norwichplayhouse.co.uk DEAR ZOO 10th February to 12th February AGES 3+ Rod Campbell’s story makes its stage premiere. NORWICH Norwich Puppet Theatre, St James, Whitefriars, Norwich, Norfolk NR3 1TN. 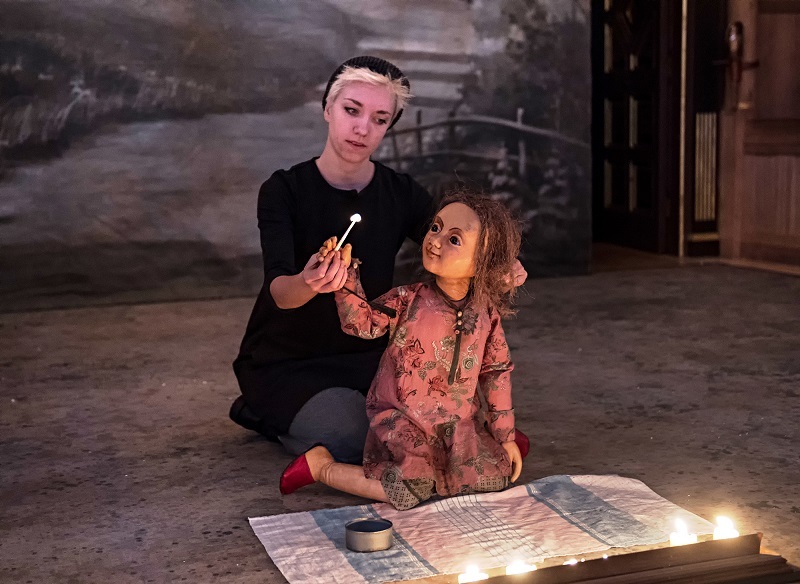 http://www.puppettheatre.co.uk; 01603 629 921 TIN FOREST Sat 10 Feb AGES 3+ The Tin Forest is about a lonely old man who lives in a dreary junkyard, full of other people’s broken and unwanted rubbish. He dreams that one day his world will be full of life, colour and sound. His wish is about to come true. The Tin Forest is an uplifting, humorous and touching show, full of visual invention, puppetry and musical fun…with mechanical birds, a wind-up circus and exotic animals of all shapes and sizes. Based on the book by Helen Ward, illustrated by Wayne Anderson and published by Templar. COLCHESTER Mercury Theatre Balkerne Gate, Colchester, CO1 1PT www.mercurytheatre.co.uk TIDDLER & OTHER TERRIFIC TALES 5-6 April AGES 4+ Under the sea, out on the farm and into the jungle, these terrific tales are woven together with live music, puppetry and a whole host of colourful characters from Julia Donaldson and Axel Scheffler’s best-loved titles: Tiddler, Monkey Puzzle, The Smartest Giant in Town and A Squash and a Squeeze. Funky moves, toe tapping tunes and giggles are guaranteed! Is Tiddler telling the truth? Will Monkey find his Mummy? Will George The Giant make lots of friends? Can the old lady really squash and squeeze all those animals in? This delightful production is brought to you by the team behind Stick Man Live, adapted from the bestselling books by Julia Donaldson and Axel Scheffler, creators of The Gruffalo. DUBLIN Abbey Theatre 26 Abbey Street Lower, Dublin 1 Ireland. www.abbeytheatre.ie LET THE RIGHT ONE IN Until 20 Jan AGES 13+ Oskar is a lonely, bullied teenager who lives with his mother on the edge of town. Eli just moved in next door. She doesn’t go to school and stays indoors all day. These two young misfits soon forge a deep connection but, when a series of mysterious killings plagues the neighbourhood, their friendship is tested beyond all imaginable limits. Following runs in London and New York, Let the Right One In comes to the Abbey with a new Irish cast as the centrepiece of our winter season. Tony and Olivier award-winning director John Tiffany directs a script adapted for the stage by Jack Thorne, based on the original vampire novel by John Ajvide Lindqvist and film by Tomas Alfredson. DUBLIN The Ark, 11a Eustace St, Temple Bar, Dublin, Republic of Ireland; +353 (0)1 670 778; boxoffice@ark.ie; ark.ie Trad Gigs for Children: Socks in the Frying Pan 26-27 January AGES 4+ A gig for children of all ages from this multi-award winning trio from Co Clare, the universal hub of Irish traditional music. Part of the TradFest Children’s Hub 2018. THE BUTTERFLY AND THE MOCKINGBIRD 28 Jan AGES 2-6 A delightful music performance from an outstanding duo that will take you on a musical tour of traditional, classical and other world music! BELFAST Lyric Theatre, 55 Ridgeway Street, Belfast BT9 5FB www.lyrictheatre.co.uk; 028 9038 1081; boxoffice@lyrictheatre.co.uk HOW TO CATCH A STAR 10-11 Mar AGES 4+ Once there was a boy who was always looking up. He dreamt of having a star as a friend. This is the story of his adventure. Based on the beloved book by award-winning Belfast author Oliver Jeffers, Branar Téatar do Pháistí are proud to present How To Catch a Star. Appearing as part of the 20th Belfast Children’s Festival. This adaptation combines puppetry by Grace Kiely and Neasa Ní Chuanaigh with stunning puppets designed by Suse Reibisch. With a magical original score by Colm Mac Con Iomaire, beautiful set design by Maeve Clancy, the amazing costumes and fabric pieces by Elaine Mears and the atmospheric lighting design of Ciaran Kelly and directed by Marc Mac Lochlainn, Branar’s signature storytelling creates a show which reminds us all to follow our dreams..
KILKENNY Barnstorm Theatre Company, Church Lane, Kilkenny, R95 PP3F. Co. Kilkenny, Ireland. T: +353(0)56 7751266/ 7770495. E: info@barnstorm.ie; http://barnstorm.ie STAR CHASERS On tour from 23 April to 25 May AGES 4+ A modern-day adventure, Star Chasers sees Billy and Dad heading north with just a tent and a box full of Mam’s memories. On the way they pitch their tent, conjure Mam’s stories and quarrel as they seek journey’s end and a new beginning. Star Chasers is a rich exploration of the relationship between a parent and child and their attempts to come to terms with the shared loss in their lives. One teacher remarked after the play that it is “a beautiful way to deal with a difficult subject.” Star Chasers is described as a tapestry of music, movement and magical imagery. Some of the images came from Kilkenny schools who were invited to contribute paintings and drawings of three stories that feature in the play. A wonderful array of visual art from St Canice’s Mixed NS and CBS Primary School was sent to set designer Andrew Clancy, who used a selection in video projections as part of the set design. For children aged 4+ Running Time: 40 mins approx. Writer Scott Young says that “Ultimately Star Chasers is a play about family. It does not shy away from the challenges of encountering change and loss, but it really focuses on finding and celebrating what it means to be family.”. STRABANE Alley Theatre 1A Railway St, Strabane BT82 8EF 028 7188 4760; www.alley-theatre.com LITTLE RED RIDING HOOD AND THE SILLY BILLY WOLF 27 January AGES 4+ This colourful, fast-paced all singing and dancing show is a fun and gentle re-telling of the classic fairy-tale of Little Red Riding Hood. Children with have great fun joining in on the action, singing songs and playing games and meeting some amazing characters in this original show, written especially for this touring spectacular. With beautiful costumes, stunning stage sets and hilarious characters, making this a fun-packed show not to be missed!. LONDON Arcola Theatre 24 Ashwin Street, London E8 3DL. Box Office: +44 (0)20 7503 1646. www.arcolatheatre.com HANNA 3-20 January AGES 12+ A Papatango Theatre Company production written by Sam Potter and directed by George Turvey. Being a young mum is supposed to be hard – but for Hanna, the only thing she’s ever been brilliant at is raising her beloved daughter Ellie. Until a DNA test reveals staggering news. Ellie is not Hanna’s child. And now her ‘real’ parents want to meet. How can an ancient mix-up in an overstretched maternity ward be explained to a three-year-old? Is Hanna supposed to let these strangers into her daughter’s life? Forced to question what being a parent really means, Hanna makes a drastic decision that will change all their lives. LONDON Children’s Story Centre. Discover, 383-387 High Street, Stratford, London E15 4QZ; 020 8536 5555; www.discover.org.uk Storytelling: BAUBLE to 14 January 00pm AGES 0-3 Mon-Thurs: 11am & 1.30pm, Fri-Sun and school holidays: 11am, 1pm & 3pm. Come and see baubles in a very different light – who knew they could be alarm clocks, lightbulbs, or even a place to keep your socks! Our Story Builders are looking for one special bauble in particular – can you help them find it? Enjoy this beautiful, sensory, wintery and fun storytelling experience which will delight you and your baby. Storytelling: MONKEY PUZZLE 25 Jan-25 Feb AGES 0-3 Mon-Thurs: 11am & 1.30pm, Fri-Sun and school holidays: 11am, 1pm & 3pm. Can butterfly help little monkey find his mum? Yes, finally, but only after a lot of trial and error as butterfly misunderstands monkey’s descriptions and leads him to all sorts of unsuitable animals. Enjoy this fun story by Julia Donaldson and Axel Scheffler with our Story Builders. Storytelling: A WALK IN LONDON 27 Jan AGES 6+ Join author and illustrator Salvatore Rubbino on an adventure through some of the world’s most iconic cities – London, Paris and New York. Learn how to draw wonderful cityscapes and characters and create your own pictures. LONDON Polka Theatre Adventure Theatre, Polka Theatre, 240 The Broadway, Wimbledon, London, SW19 1SB; 020 8543 4888; visit www.polkatheatre.com My Brother, My Sister and Me Continues to 11 Feb AGES 2-5 Written & directed by Sarah Argent. With a new baby in the family, a little sister has to move in with her big brother. She’s got used to the idea but her brother and Gecko, his constant companion, are really not keen. Especially when she starts to unpack her very large collection of hats! But they both soon realise that sharing isn’t all bad as their fights and frustrations turn into games and giggles, and their room becomes a place of magic and mayhem, especially after lights out when they can tuck into midnight feasts and howl like snow wolves! This playful new Polka show from the creators of Shake Rattle and Roll and Grandad, Me… and Teddy Too! is based on conversations with young children about their own sibling relationships, and has been designed to keep children aged 2 – 5 enthralled throughout. Running time approximately 40 minutes. The Snow Queen 17 Nov – 4 Feb AGES 5-11 Written by Hans Christian Andersen. Adapted by Mike Kenny. Kai and Gerda are best friends. Not brother and sister but as close as if they were. Together, with their friends, they reimagine the thrilling adventure of Hans Christian Andersen’s classic winter fairy-tale. Let your imagination soar as a dusty attic is transformed into the Snow Queen’s icy palace, and follow their epic journey of self-discovery, as they try to save Kai from the icy spell of the Snow Queen’s cold kiss. Can Gerda melt his heart before he forgets her forever? Running time: Approximately 1 hour 35 minutes (including interval). A Polka Theatre production. I Believe in Unicorns 14 – 18 Feb AGES 6-12 By Michael Morpurgo. An enchanting tale about the power of books and one boy’s bravery. Tomas hates reading and school, but his world is turned upside down the day he meets the Unicorn Lady in his local library, a place where the books hold more than stories within their pages. LONDON Unicorn Theatre, 147 Tooley Street, London SE1 2HZ. Box Office: 020 7645 0560; boxofficestaff@unicorntheatre.com; www.unicorntheatre.com OTHELLO 3 Feb-3 Mar AGES 4-8 BEING YOURSELF ENOUGH? By Ignace Cornelissen. Inspired by William Shakespeare. Directed by Ian Nicholson. Othello, the bold, brash, confident solider, and Desdemona, the Senator’s daughter, are truly in love – but not everyone is happy about it. And that is where the problem begins and tolerance ends. Inspired by William Shakespeare’s great tragedy, this is a modern, funny and inspired play by Belgian playwright Ignace Cornelissen (Henry the Fifth, The Hunting Lodge) that brings the story of Othello to life for younger audiences and reflects on the nature of relationships, friendships and how our flaws and feelings can blind us to the truth. SEASAW 26 January-11 March AGES 3-8 By Stewart Melton. Directed by Sarah Argent. Being little can be hard work. There are holes to dig, sand castles to make, treasures to find, adventures to be had. It’s much easier when you have a friend to help. But what if making friends is hard work too? Seesaw explores the push and pull of friendship, and the ups and downs of being very young. LONDON Chickenshed 290 Chase Side, Southgate, London N14 4PE. Phone 020 82929222, email bookings@chickenshed .org. uk or visit www.chickenshed.org.uk TALES FROM THE SHED 19 January – 10 March AGES 0-6 Tales from the Shed are vibrant, interactive theatre shows that are perfect for young children. They are informal, lively and amazingly engaging as the performers and audience share the same space – children are always encouraged to make a lot of noise and to make the story happen. We guarantee that every show will be fun, really silly and that there will be plenty of colourful puppets and live songs. LONDON Half Moon Young People’s Theatre, 43 White Horse Road, London E1 0ND; 020 7709 8900; www.halfmoon.org.uk UGLY DUCKLING Sat 6 Jan AGES 3+ CIn a nest at the edge of a pond a flock of baby ducklings find an enormous egg. WHERE’S MY IGLOO GONE? Sat 13 Jan AGES 5+ Journey into a dazzling, icy world of soaring snow geese and pet husky dogs on extraordinary Arctic adventure. LONDON Little Angel Theatre, 14 Dagmar Passage, London N1 2DN; 020 7226 1787; www.littleangeltheatre.com GO NOAH GO Until 4 Feb AGES 5-10 By John Agard. A Great Flood is coming and Mr and Mrs Noah have been set the most impossible task: to take two of each animal and build them a home! A magical ark that is built on stage, over 50 carved animals and a host of songs to sing along with make this production one of Little Angel Theatre’s most successful and impressive shows. John Agard’s stunning Caribbean adaptation of this timeless story, combining puppetry, masks, stories and songs returns for another thrilling season that will enthrall the entire family. LONDON Southbank Centre, Belvedere Road, London SE1 8XX; https://www.southbankcentre.co.uk/contact-us; customer@southbankcentre.co.uk; Ticket Office: 0207 960 4200 RUG RYHMES 12 Jan-13 July AGES 0-5 A short session of nursery rhymes and poems for under 5s and their carers. WHOOSH 8-9 February AGES 4+ A heartwarming performance where every slight breeze turns into a beautiful sound. Part of Imagine Children’s Festival. BIRMINGHAM Birmingham Repertory Theatre, Centenary Square, Broad Street, Birmingham B1 2EP; 0121 236 4455; birmingham-rep.co.uk PENGUINS 1-10 Feb AGES 4+ When being different brings the most wonderful of surprises. Roy and Silo are two male Chinstrap penguins. Just like the other penguin pairs at Central Park Zoo, they walk, play, swim and dance together. When the duo decide to try and hatch a rock in place of an egg, they find themselves on an adventure that could mean raising a chick for real! Penguins is a unique and engaging show for children about friendship, fun, identity and the ever-changing meaning of family. This delightful new theatre and dance production is inspired by a true story reported in the New York Times that touched hearts worldwide. The creative team includes award-winning children’s director Paul Bosco McEneaney and international choreographer Carlos Pons Guerra. STRATFORD-UPON-AVON Royal Shakespeare Theatre. Waterside, Stratford-upon-Avon, Warwickshire CV37 6BB England; 0844 800 1110; ticketqueries@rsc.org.uk; www.rsc.org.uk A CHRISTMAS CAROL Until 4 Feb AGES 6+ David Edgar, one of our greatest living writers, adapts Charles Dickens’ festive tale of redemption and compassion. One of the most loved short stories ever written, in one ghostly Christmas night, cold-hearted Ebenezer Scrooge learns to pity himself and to love his neighbour – but is that enough? WARWICK Warwick Arts Centre, University of Warwick, Gibbet Hill Rd, Coventry CV4 7AL; www.warwickartscentre.co.uk; Phone: 024 7652 4524. WE’RE GOING ON A BEAR HUNT Until 7 January AGES 3+ Presented by Kenny Wax Family Entertainment. Venue: The Goose Nest. NEWCASTLE-UNDER-LYME New Vic Theatre, Etruria Road, Newcastle-under-Lyme, ST5 0JG; www.newvictheatre.org.uk; 01782 717 962 TREASURE ISLAND Until 27 January AGES 6+ Filled with swashbuckling sword fights, live-on-stage music, humour, puppetry and lots of excitement, this is the perfect festive treat for the whole family! 1750, Sleepy Cove. Tired of the quiet life, Gem dreams of adventure and excitement. When a mysterious stranger comes to stay at The Admiral Benbow Inn, she believes her luck is about to change. And so begins an epic journey. A journey filled with pirates and possibilities; buried treasure and blue horizons; seafarers and scallywags. And in the middle of it all, a good-hearted cook called Long John Silver – but is he friend or foe? As Gem helps search for treasure on faraway shores, meeting larger than life characters along the way, she discovers there’s far more to a life of adventure than she ever imagined. DURHAM Gala Theatre 1 Millennium Place, Durham DH1 1WA; 0300 026 6600; www.galadurham.co.uk BEAR AND THE BUTTERFLY 24 January AGES 4-7 Puppetry, live music and beautiful storytelling combine in this charming tale about love, loss and friendship. MONSTERSAURUS 4 FEB AGES 3+ This brand new show from the creators of Aliens Love Underpants is monster-ously good! OWL AND THE PUSSYCAT 27 March AGES 3-7 Using puppets and live music, Kitchen Zoo brings to life an unexpected telling of Edward Lear’s poem. MANCHESTER The Lowry Pier 8, Salford Quays, M50 3AZ; 0843 208 6000; www.thelowry.com MOTHER GOOSE 5-7 Jan AGES 3-7 Mother Goose Performed by the award winning Barton Theatre Company As the good fairy Willowgood battles the evil Ravenhart for the heart of Mother Goose and Matilda’s golden eggs, this wonderful fairytale comes to life. NEWCASTLE-UPON-TYNE. Theatre Royal, 100 Grey Street, Newcastle-upon-Tyne NE1 6BR; 08448 11 21 21; www.theatreroyal.co.uk TELETUBBIES LIVE 10-11 FEB AGES 1-6 Join Tinky Winky, Dipsy, Laa-Laa and Po in a show full of love and laughter as they explore the magical world of Teletubbyland. SHEFFIELD Crucible Lyceum Studio 55 Norfolk Street, Sheffield, S1 1DA Box Office 0114 249 6000. sheffieldtheatres.co.uk THE MONTGOMERY: THE GINGERBREAD MAN 24 FEB AGES 3+ Chase after our cheeky gingerbread hero as he sets off on the biggest adventure of his life! Out of the kitchen, through the town, across the fields and all the way to the river….. Now if he could just avoid that sly old fox! Hiccup Theatre cook up a brand new version of this classic tale adding delicious original live music, tasty storytelling and dollops of fun..
DUNDEE Dundee Rep, Tay Square, Dundee DD1 1PB Scotland (Alba); 01382 223530; www.dundeerep.co.uk GRANDAD AND ME 4 APRIL AGES 5+ Grandad and Me is a living storybook about loss, longing and the treasures of memory and imagination. We meet a young girl who is missing her Grandad – he has gone, even though his favourite job was being her Grandad. EDINBURGH The King’s Theatre, 2 Leven St, Edinburgh, Midlothian EH3 9LQ; 0131 529 6000; www.edtheatres.com THE ATTIC 9-21 Jan AGES 2-5 Grandma and Lucy are up in the attic where all the memories are stored. Hidden in dusty containers at the top of the house, they have been waiting a long time to come out and play. Come up the stairs, blow away the cobwebs and peek into the boxes. Who knows what might happen when the sleepy attic comes to life. Set to a live, original piano score, two characters discover a magical place filled with hidden treasures. The precious remainders of past generations are woven into new memories as Lucy entices her grandmother to enter her imaginary world. Little ones and their carers are invited to watch and then join in an extravagant tea party under the stars. BRACKNELL South Hill Park, Ringmead, Bracknell, Berkshire, RG12 7PA; www.southhillpark.org.uk OLIVER JEFFERS’ LOST AND FOUND 25 February AGES 3-5 Once there was a boy and one day he found a penguin at his door. He didn’t know where it had come from or who it belonged to. The penguin looked sad and the boy thought it must be lost. So he decided to help it find its way home, even if that meant rowing all the way to the South Pole. This funny, charming tale of friendship is brought to life with puppetry, songs and music, this fantastic new show is suitable for ages 3+ and their grown-ups. BRIGHTON. The Dome Brighton Dome Church Street, Brighton BN1 1UE Ticket Office: 01273 709709; www.brightondome.org SQUARE WORLD 12 Feb AGES 3-6 When the daily routine of three friends’ lives suddenly changes, they discover – with a little fun and some mayhem – how to adapt their world so they can keep playing together. A Square World looks at the unfairness of being left out in a world designed for everyone else but yourself. This non-verbal story uses simple design and object manipulation to create an imaginative world where anything can happen. An honest, touching and funny performance with a gentle but poignant message. SNOW MOUSE 16-18 FEB AGES 0-4 An enchanting winter’s tale for the very young. Winter has arrived and the woods are covered in white. A child hurries to put on their winter clothes so they can run outside and play in a sparkly new world. They find a sleeping mouse buried under the soft white flakes. Sliding, tumbling and laughing, they explore the winter wonderland together and keep each other safe and warm from the winter freeze. Following their sell-out run at The Barbican, come and join the two new friends on their adventures in a magical forest full of play, puppetry and music. CHICHESTER Chichester Festival Theatre, Oaklands Park, Chichester, West Sussex PO19 6AP; 01243 781312; www.cft.org.uk THE LITTLE MATCHGIRL AND OTHER HAPPIER TALES 6-10 Feb AGES 6+ A Shakespeare’s Globe and Bristol Old Vic co-production. From the story by Hans Christian Andersen and Other Storytellers. Writer and co-adaptor Joel Horwood. Director and co-adaptor Emma Rice. As our destitute heroine struggles to survive, she strikes her matches to keep warm. Each match will conjure a new story, a new vision, and we will hold her hand as we tumble down the rabbit hole together. Inspired by the beautiful and devastatingly sad Hans Christian Andersen tale, The Little Matchgirl, and combining Andersen’s other tales, The Princess and the Pea, The Emperor’s New Clothes and Thumbelina, The Little Matchgirl and Other Happier Tales reveals a spellbinding world of magic and mystery. Steeped in the metaphor and meaning that runs through the veins of Andersen’s enduring stories, this will be a night to delight, transport and surprise. For adults and brave children alike, expect music, puppetry, dark magic… and perhaps some modern truths that we would all rather remain hidden. CORBY The Corby Cube Parkland Gateway George Street, Corby, Northamptonshire NN17 1QG; 01536 470470; www.thecorecorby.com CAPTAIN FLINN AND THE PIRATE DINOSAURS 2: THE MAGIC CUTLASS 14-15 Feb AGES 3+ Les Petits theatre company return to the high seas after their hugely successful shows David Walliams’ The First Hippo On The Moon and Captain Flinn And The Pirate Dinosaurs. DARTFORD Orchard Theatre, Home Gardens, Dartford, DA1 1ED; orchardtheatre.co.uk AWFUL AUNTIE 7-11 Feb AGES 5+ When Stella sets off to visit London with her parents, Lord and Lady Saxby, she has no idea her life is in danger! Waking up three months later, only her Aunt Alberta can tell Stella what has happened. But not everything Aunt Alberta tells her turns out to be true and Stella quickly discovers she’s in for the fight of her life against her very own awful Auntie! IPSWICH Wolsey Theatre, Civic Dr, Ipswich, Suffolk IP1 2AS; 01473 295900; www.wolseytheatre.co.uk A TIGER’S TALE 14-15 Feb AGES 4+ M6 Theatre presents a fantastical new production by the award winning playwright Mike Kenny. Based on the extraordinary story of Fenella, the Holmfirth Tiger, A TIGER’S TALE is a high spirited balancing act of circus, puppetry, live music and song. From a circus train in South Africa, to a steamboat on the Atlantic Ocean and onward to West Yorkshire, a ramshackle travelling troupe tell us the unbelievable true story of a family of acrobats and their adopted tiger cub..
NORTHAMPTON Royal & Derngate, Northampton, Guildhall Rd, Northampton NN1 1DP; 01604 624811; www.royalandderngate.co.uk PENGUIN Day 13 FEB AGES 4+ Based on the award winning children’s book by Polly Dunbar, Penguin is full of surprises and sing-a-long songs. Ben is delighted when he rips open his present and finds a penguin inside. “Hello Penguin!” says Ben. Penguin says nothing. Ben tickles Penguin, Penguin doesn’t move; he pulls his funniest face; he puts on a happy hat, sings a silly song and does a dizzy dance. Penguin still says nothing…so Ben fires Penguin into OUTER SPACE. And so the adventure begins! OXFORD Pegasus Theatre, Magdalen Road, Oxford OX4 1RE; 01865 812160; www.pegasustheatre.org.uk THE GROW SHOW 24 FEB AGES 4+ Have you ever wiggled with a giant worm, seen comedy compost created before your very eyes or sung along with a singing carrot? 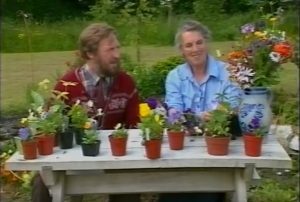 Well its all here in Rosies Grow Show. This joyful interactive puppet performance features shadow puppets, glove puppets catchy songs and a puppet garden that grows before your very eyes! PORTSMOUTH Kings Theatre, Albert Road, Southsea, Portsmouth PO5 2QJ; 023 9282 8282; www.kingsportsmouth.co.uk PEPPA PIG 17-18 Feb AGES 2+ Join Peppa as she gets ready to go on an exciting camping trip to the woods with George and her school friends, including Pedro Pony, Suzy Sheep and Gerald Giraffe. WINDSOR Theatre Royal, Windsor, 32 Thames St, Windsor, Berkshire SL4 1PS; 01753 853888; www.theatreroyalwinchester.co.uk PENGUINS 19 Feb AGES 3+ Being different brings the most wonderful of surprises. Roy and Silo are two male Chinstrap penguins. Just like the other penguin pairs at Central Park Zoo, they walk, play, swim and dance together..
BATH The egg at Theatre Royal Bath, Saw Close, Bath BA1 1ET. 01225 448844; www.theatreroyal.org.uk LITTLE MERMAID 7 December 2017 – 14 January 2018 AGES 5+ With elements of both period drama and lively rom-com, Little Mermaid combines poignant undertones with fairytale magic, creating a hilarious and exciting family adventure, all set to a shimmering soundtrack of classic 80s pop! This new version, inspired by Hans Christian Andersen’s much-loved story, is by award-winning playwright, Bea Roberts.. AURORA 15 December 2017 – 7 January 2018 AGES 18mths-4yrs An amazing multi-sensory journey into the Northern Lights. . SNOW MOUSE 24 January – 11 February 2018 Back by popular demand. Join the two new friends on their adventures in a magical forest full of play, puppetry and music. Original production by Ellen Havard and Mike Akers. AFRAID TO ASK 7 – 8 February 2018. Age: 12+ Maybe you’ve a question in the back of your head, right now? THE LITTLE MOCHI MAN 9 – 11 February 2018 Age: 4+ The perfect introduction to Japan for younger children, with origami puppets, animation and music. LITTLE RED AND THE BAD WOLF 15 – 18 February 2018. A bold and highly theatrical re-telling of the well-known classic tale, packed with music, dance and song. BATH Theatre Royal Bath, Saw Close, Bath BA1 1ET. 01225 448844; www.theatreroyal.org.uk HETTY FEATHER 9-13 January AGES 7+ Written by Jacqueline Wilson, Adapted for the stage by Emma Reeves, Directed by Sally Cookson. BRISTOL Alma Tavern Theatre, 18-20 Alma Vale Rd, Bristol BS8 2HY; almatavernandtheatre.co.uk; 0117 973 5171 THE DIARY OF ANNE FRANK 29th Jan – 3rd Feb AGES 9+ BOOOH ARRR Production. Adapted for the stage by J. Turner. The ever popular story of Anne Frank loses nothing in the retelling in the smaller space of the Alma. Teenagers in particular identify with the plight of theJewish hideaways who at any moment could be forced out and to their untimely murders in the Holocaust by the Nazis. BRISTOL Redgrave Theatre, Percival Road, Bristol BS8 3LE; 0117 973 3955; http://redgravetheatre.com BEOWULF 3-10 February AGES 7+ Bristol Old Vic Theatre School production. Written and directed by Toby Hulse. Inspired by the Anglo-Saxon epic. BRISTOL Bristol Old Vic Theatre, King Street, Bristol BS1 4ED England. 0117 987 7877; www.bristololdvic.org.uk; tickets@bristololdvic.org.uk THE LITTLE MATCH GIRL AND OTHER HAPPIER STORIES Until 14 Jan AGES 6+ A Bristol Old Vic and Shakespeare’s Globe co-production. Written and co-adapted by Joel Horwood. Directed and co-adapted by Emma Rice. KID CARPET’S SNOW GLOBE Until 7 Jan AGES 2-6 An Intelligent Fridge comments on the crazy antics of Kid and Susie in a fun show about snow. In the Lantern Room of the Colston Hall. BRISTOL The Tobacco Factory, Raleigh Rd, Bristol BS3 1TF; 0117 902 0344; www.tobaccofactorytheatres.com BEAUTY AND THE BEAST Until 14 Jan AGES 6+ Re-telling of the French classic fairy tale is brimming with surprises and delights to remind us that beauty – and beastliness – are only skin deep. Beauty and the Beast opened at Cambridge Junction last Christmas to rave reviews and packed houses. THE UGLY DUCKLING Until 14 January AGES 18mths-6 Delightful version of the coming of age story. BRISTOL The Wardrobe Theatre, 25 West Street, Old Market, Bristol BS2 ODF; 0117 9020344; www.thewardrobetheatre.com ADVENTURE BUREAU 28 Jan – 25 Feb AGES 3-8 A brilliantly fun interactive storytelling show for ages 3-8 and their families, presented by Katie Storer and Simon Panrucker FIRESIDE STORIES WITH GRANDDAD 10-17 Feb AGES 3-8 Exquisite puppets and captivating storytelling combine to create an enchanting show guaranteed to spark the imagination of 3-8 year olds and their families, presented by Pickled Image. NICK COPE 18 Feb AGES 4+ With songs about dogs eating soap and dragons called Keith, the popular Nick Cope returns to The Wardrobe Theatre to perform his special live music gig for children. Nick Cope is a professional singer and songwriter and has over 20 years of experience in music, including international success as lead singer and songwriter with The Candyskins in the 1990s. CHELTENHAM Everyman Theatre, Regent Street, Cheltenham, GL50 1HQ Tel: 01242 236700 website www.everymantheatre.org.uk BEOWULF 10 Feb AGES 5+ Written and directed by Toby Hulse. Inspired by the Anglo-Saxon epic. Beowulf – the bravest of the Anglo-Saxon heroes, fighting flesh eating monsters and fire breathing dragons, over an inhospitable landscape, in the defence of Hrothgar, King of the Danes. Nine year old Sophie knows the story of Beowulf well. She has enjoyed sharing it many times with her mother, a professor of Old English. Together they have even learned to read a language that no one has spoken in this country for over nine hundred years. But Sophie is fighting monsters of her own, monsters every bit as terrifying as those that Beowulf must face. Her mother is dying, and it seems that only Sophie is brave enough to save her. A new play retelling the story of the greatest Anglo-Saxon poem ever written, and exploring how we respond to death; performed in Bristol Old Vic Theatre School’s trademark mix of gripping storytelling, bold physical action, and live music, with a sprinkling of the original Old English! Anyone who thrilled to last year’s Jason and the Argonauts will need no persuasion to join Beowulf and Sophie in this epic battle to the death. CHELTENHAM Bacon Theatre, Hatherley Road, Cheltenham, GL51 6RP Tel: 01242 250002 website www.bacontheatre.co.uk THE LION THE WITCH AND THE WARDROBE 11-12 Feb AGES 6+ dance version of CS Lewis’s fantasy set in Narnia with Janet Marshall Dance Studios. EXETER Bike Shed The Bike Shed Theatre, 162/3 Fore Street, Exeter EX4 3AT info@bikeshedtheatre.co.uk; 01392 434169; www.bikeshedtheatre.co.uk WHEY DOWN SOUTH 23-24 Jan AGES 8+ Jenny stands at the top of the hill. Her legs shake, her top lip trembles. The decline before her beckons. The wind pushes at her back. This is her time, the hill her arena. Will Jenny defy the expectations of friends and family, risking severe bodily harm (and probable legal action) to save the Little Curdlington Cheese-Rolling? Join the Narwhal Ensemble for Whey Down South, a theatrical quest to preserve the age old tradition of cheese rolling and fight the looming influence of big money. Will the community band together, or will it crumble like finely aged cheddar? The Narwhal Ensemble are a Theatre Royal Plymouth Supported Company. This production is supported using public funding by the National Lottery through Arts Council England. EXETER Exeter Northcott Theatre, Stocker Road, Exeter, Devon EX4 4QB; 01392 493 493; http://exeternorthcott.co.uk/ THE BOY WHO CLIMBED INTO THE MOON 14-17 Feb AGES 6+ Some pretty odd ideas are floating around Paul’s street. There’s Mabel, whose brother hides under a brown paper bag. And Clarence the poodle who thinks he can fly. But Paul has the oddest idea of all. He thinks that the moon is a hole in the sky and he’s going to climb into it. Anything’s possible in this warm and very funny story by David Almond, award-winning writer of Skellig and My Dad’s A Birdman, Theatre Alibi’s production features original live music and puppetry. EXETER Cygnet Theatre Friars Gate Exeter EX2 4AZ info@cygnettheatre.co.uk www.cygnettheatre.co.uk; 01392 277189 THE LONG MIRROR January 30-February 3 AGES 11+ JB Priestley’s time play ideal for students of English Lit at Senior School. DORSET Lighthouse, Poole’s Centre for the Arts, 21 Kingland Rd, Poole BH15 1UG; 0844 406 8666; www.lighthousepoole.co.uk; THE UGLY DUCKLING 13 January AGES 3+ Meet the most unusual duckling the pond has ever seen! In their nest at the edge of a pond, the baby ducklings wait impatiently for Mummy’s enormous egg to hatch. But their new brother doesn’t look like everyone else. He doesn’t even quack like a proper duckling! Teased and called Ugly by his siblings, our hero goes on an adventure in search of a place to fit in. As the woodland trees change from dark weathered branches to silver sticks of frost, the lost and lonely fledgling hides in brushwood and stares skyward at the migrating swans, yearning to belong and marvelling at their beauty…. Where does he really belong? Moving through all four seasons, tutti frutti and York Theatre Royal bring to life Hans Christian Andersen’s well known tale. With a menagerie of mischievous animals, depicted through inventive physicality, and live music that quacks and trills, this charming production plays with the importance of identity, self-worth and takes us on a journey to discover inner beauty. I BELIEVE IN UNICORNS D23-24 Feb AGES 6+ Olivier Award nominated Wizard Presents brings best-selling children’s author Michael Morpurgo’s treasured story to life. This intimate show is set in a library full of books that hold more than stories within their pages. It is a tale of the power of books, and the bravery of a young boy called Tomas. Tomas hates reading and school, but his world is turned upside down the day he meets the Unicorn Lady in his local library. An enchanting and interactive production, I Believe in Unicorns, which won an Argus Angel Award for Artistic Excellence at Brighton Festival, sparks imagination in both young and old. We challenge you not to believe in unicorns after joining Tomas’ spellbinding journey. CARDIFF Sherman Cymbru Senghennydd Rd, Cathays, Cardiff, South Glamorgan CF24 4YE; 029 2064 6900 www.shermancymru.co.uk PLAYTIDDLER AND OTHER TERRIFIC TALES 22-23 Feb AGES 3+ Under the sea, out on the farm and into the jungle, these terrific tales are woven together with live music, puppetry and a whole host of colourful characters from Julia Donaldson and Axel Scheffler’s best-loved titles: Tiddler, Monkey Puzzle, The Smartest Giant in Town and A Squash and a Squeeze. Funky moves, toe tapping tunes and giggles are guaranteed! Is Tiddler telling the truth? Will Monkey find his Mummy? Will George The Giant make lots of friends? Can the old lady really squash and squeeze all those animals in? This delightful production is brought to you by the team behind Stick Man Live. All ages welcome!. MOLD Theatr Clwyd, Mold, Flintshire, CH7 1YA; 01352 701521; www.theatrclwyd.com, box-office@clwyd-theatr-cymru.co.uk HUSH-A-BYE 16-20 January AGES 0-8 The leafy canopy is home to lots of creatures you might expect, and one you definitely won’t – a tiny baby! How did the infant get up there? Experience the sights, sounds and smells of a woodland wonderland in Oily Cart’s immersive tree-top world. An Oily Cart production. Director: Anna Newell. We have 3 different versions of the show for different ages: Babies and toddlers (6 months – 2 years); Aged 3 – 5; Relaxed version (aged 3 – 8). WHAT THE MOON SAW 13-14 Feb AGES 3+ Alone in the world and scared of the dark, Jack opens his bedroom curtains to find a familiar friendly face. Shining bright, the Moon teaches Jack how to be brave on an amazing adventure across the world. Watch Jack’s world come to life in this interactive tale of dance, circus and music. For the ultimate adventure come dressed in your pyjamas! Inspired by Hans Christian Andersen. Reimagined by 2Faced Dance Company. Dramaturg: Ellie While. Commissioned by The Place, Dance East & DanceXchange and supported by Arts Council England, The Gulbenkian, Canterbury & The Point, Eastleigh. NEWPORT The Riverfront Theatre and Arts Centre Kingsway, Newport NP20 1HG; www.newport.gov.uk/theriverfront or call 01633 656757. A TIGER’S TALE 3 Feb AGES 4+ A new show written by Mike Kenny. Directed by Gilly Baskeyfield. Music by James Atherton. M6 Theatre presents a fantastical new production by the award winning playwright Mike Kenny. Based on the extraordinary story of Fenella, the Holmfirth Tiger, A TIGER’S TALE is a high spirited balancing act of circus, puppetry, live music and song. From a circus train in South Africa, to a steamboat on the Atlantic Ocean and onward to West Yorkshire, a ramshackle travelling troupe tell us the unbelievable true story of a family of acrobats and their adopted tiger cub. Running time: 50 minutes.